We have refined our spray bar for many of our customers that find in house dust control makes good sense from an “application when needed” standpoint as well as greater financial savings by using onsite equipment. This is easily attached to one of our totes while shipping our Earthbind™-100 for dust abatement. 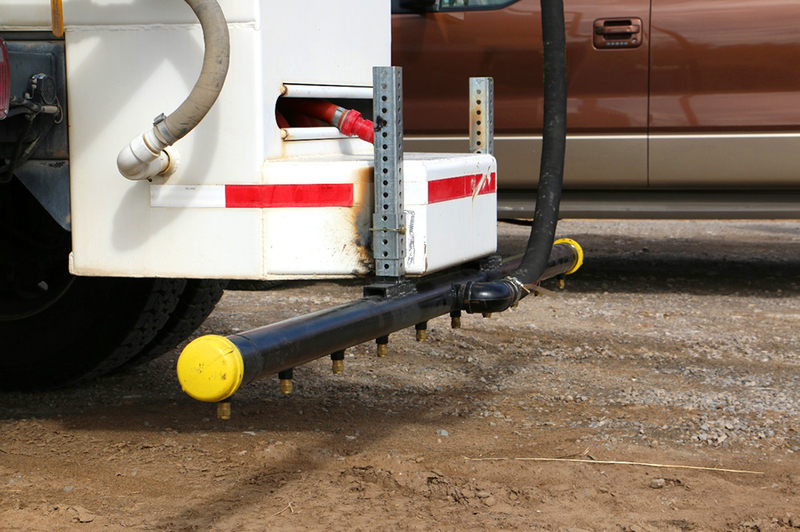 Customer can easily bolt this attachment onto existing water trucks or water wagons. Driving at 5mph at 50 psi applies 0.05 gallon/sq. yard which is one third of a base course or a maintenance application when needed. We simply ship 330 gallon totes of Earthbind™-100 to the customer when needed for base course or maintenance applications in high use areas. Left: spray bar layout, right: spray bar ready for shipping on top of tote.